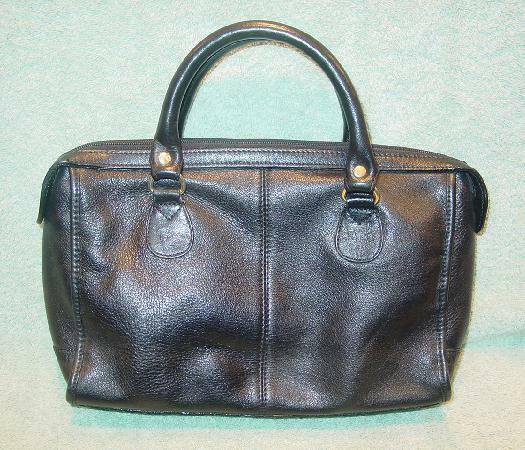 This vintage black leather handbag is by Cobb & Co. It has a top side to side zipper and a front 3/4 one snap closure section. 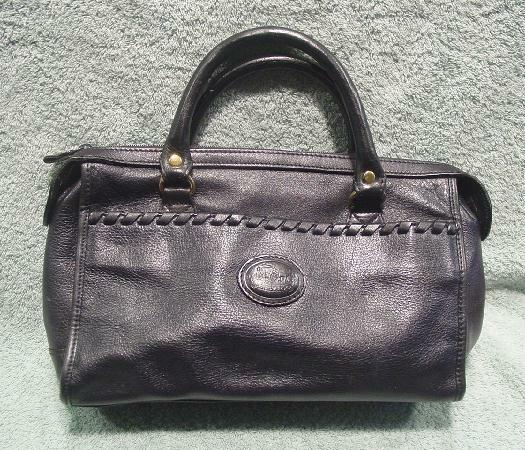 The interior has a black fabric lining and a lined zippered pocket. There are two leather covered handles. The front has an elevated oval logo (a carriage, horse, and Cobb & Co. in the center).